WE'RE DOING A WHOLE LOT IN THE UPCOMING WEEKS. We want you to be involved! EarBuds is a Listening Movement. This means that yes, we send podcast recommendations for you to check out during your commutes, walks, and exercise classes, but we also want you to chat about the audio content we feature with EarBuddies. With this in mind, we host storytelling shows, but we also work to create other in-person events where you can meet other podcast lovers. Here are a few of the things we've got coming up in the next few weeks. 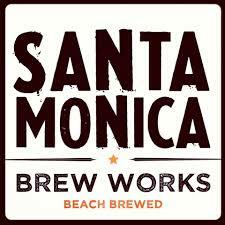 We're getting together at Santa Monica Brew Works to try some beer, chat some pods, and give away some goods. EarBuds founder Arielle will be there with stickers, temporary tattoos, and a photo booth, so bring your friends and your pod-pinions (that's podcast opinions) for a fun afternoon. Here's the Facebook link. EarBuds Podcast Collective sent it's first recommendation email last February 13th. We're celebrating ONE FULL YEAR of the Listening Movement on February 13th, 2018 everywhere around the world. Here's the Facebook link.